The collective enjoyment that a large crowd gains from watching bullfighting exceeds the individual pain of a single bull. On a utilitarian basis, a bullfight is a net positive. People find pleasure in boxing, mixed martial arts, wrestling, and other competitive full-contact-sports despite them being brutal. 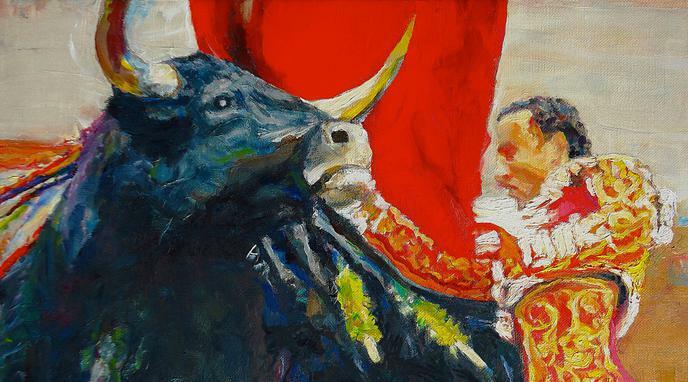 The entertainment a person obtains from watching a bullfight should not be considered more or less moral than their enjoyment of consuming a steak. If anything, bullfighting is a much more moral activity than consuming meat because the former is more rarely done and kills fewer animals. By this logic, the public torture and execution of innocent humans should be allowed, so long as there is a sufficient audience cheering along. It is immoral to feel pleasure, satisfaction and entertained with another being's pain. The value of a life outweighs any enjoyment. Gladiator fights were appreciated in the past, but we now acknowledge that the torture and violence involved would be unacceptable (even if potentially entertaining). Singer argues that using utilitarian arguments to justify the torture and killing of animals only works if we discount the suffering of the animal. If we take animal suffering as seriously as we take human suffering, then the massive suffering of the animals outweighs the comparatively marginal enjoyment of even a stadium of people. If we use utilitarian arguments to take into account the collective enjoyment of the audience, we also need to take into account the collective disgust of wider society. six bulls killed per event in Spain. While suffering remains constant for every new bull, excitement will decline with repetition.